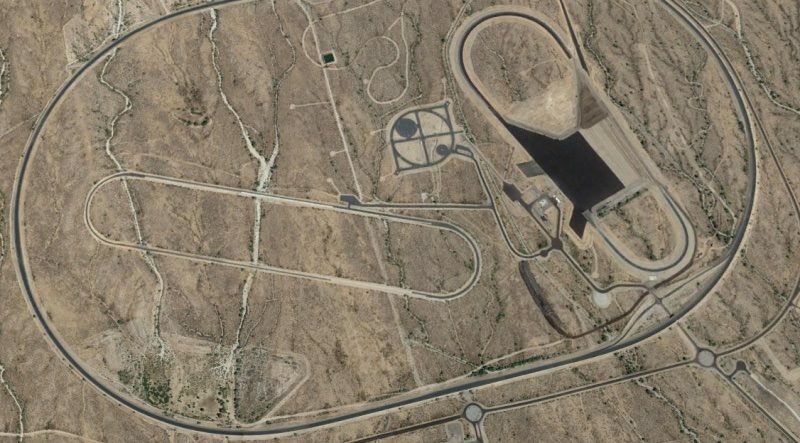 Apple may be leasing a former Fiat-Chrysler vehicle testing site in Arizona for autonomous vehicle research purposes, according to an unnamed source that spoke to Jalopnik. Apple has reportedly been recruiting automative test engineers and technicians from vehicle proving grounds around Arizona to work at the site, located in Surprise, Arizona, but neither Apple nor Fiat-Chrysler would confirm Apple's presence at the location. Fiat-Chrysler in the early 2000s used the site to test the impact of hot temperatures on cars and their components. The location is said to contain multiple road surfaces, a high speed oval, steep grades, and areas dedicated to wet weather testing. It was sold to a developer for $312 million in 2005 as a housing location, but the plans fell through and it has been unused for the past several months. Jalopnik says that records suggest recent activity has been spotted on the site, which has now been leased to a company called Route 14 Investment Partners LLC. There's no clear link between Apple and Route 14 Investment Partners LLC, but Apple has been known to use shell companies for leasing properties, trademarking, and other purposes. It would also not be unusual or surprising for Apple to lease an autonomous vehicle testing site, as the company has made it clear that an autonomous system is something that's in the works. While Apple was originally said to be working on developing a full autonomous electric vehicle, the company's focus shifted to an autonomous driving system in 2016 after the return of Bob Mansfield, who took over the project. 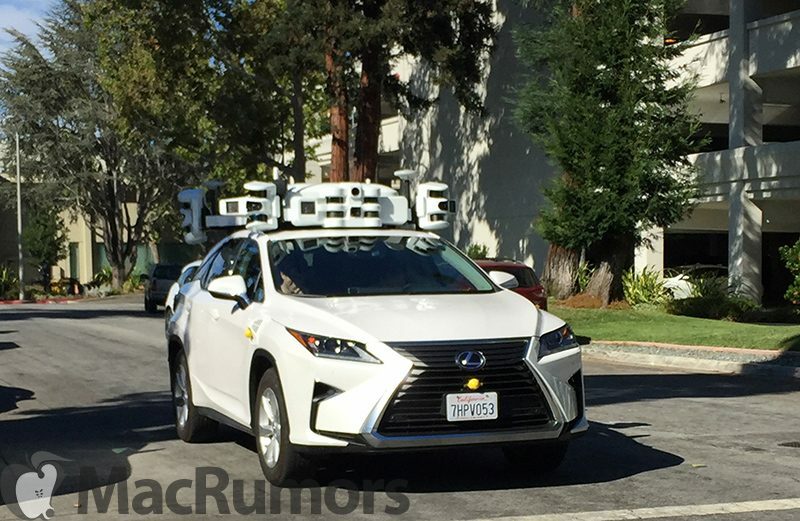 Apple is already testing its autonomous driving system out on public roads using several Lexus RX450h SUVs outfitted with a slew of sensors and cameras. In June of 2017, Apple CEO Tim Cook publicly confirmed Apple is working on autonomous driving systems. "We're focusing on autonomous systems. It's a core technology that we view as very important. We sort of see it as the mother of all AI projects. It's probably one of the most difficult AI projects actually to work on," he said. Checkmate. Apple has won yet again. if that can happen, i can ditch the need to own a car. I just want a BMW M3, manual. i wouldn't bet on that. they started a lot sooner than most news outlets have reported on. The joy of driving can never be crushed! SO TRUE!! They can't even get Siri right either. I am really weary about Apple's hardware these days. I couldn't imagine a car? can you imagine the dongle opportunity here though... Would you need to sync the car to itunes? pay your electricity bill through itunes? John Ives will design a polish aluminum block but you will need a dongle if you want wheels, and a dongle if you want to to use your cup holder. Worse part, it will have Siri. You would say "take me home". Siri will response "this is what I found on navigation to home on the web" , and then something witty to really piss you off. Apple should stick to phones for the masses and fashion accessories. Sadly, Ferrari has already ruined it by putting full auto in all Ferraris and Maseratis. Lamborghini still offers semi-automatic, which makes a world of difference in terms of fun. And Formula 1 still uses semi-automatic since full auto is banned. They've invented these things called taxis. They work like that.